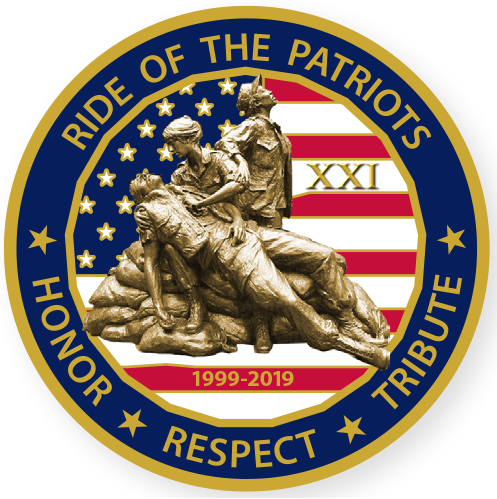 The 21st Annual Ride of the Patriots® to Rolling Thunder® XXXII will take place on Sunday May 26, 2019 during the Memorial Day Weekend. Patriot Harley-Davidson® and the Fairfax VA Chapter, Harley Owners Group welcome you to join us for this signature event. 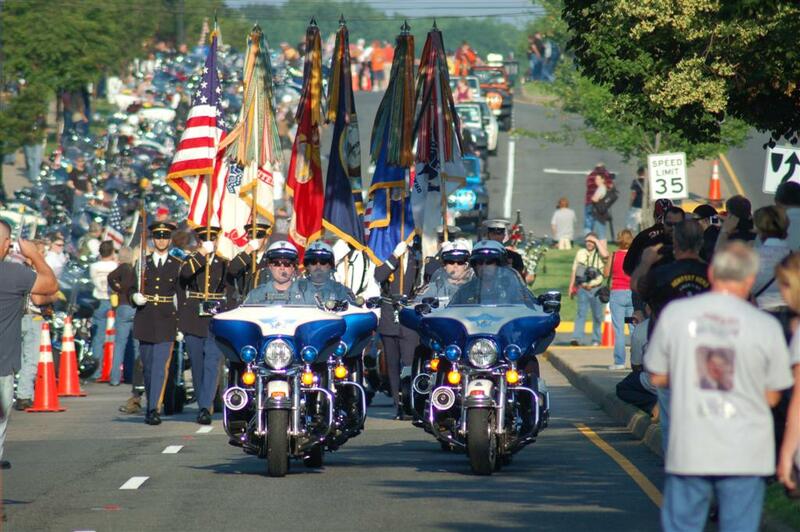 We are very pleased that the Ride of the Patriots has become a highly anticipated community event and our hopes are that all bikers and bikes will feel welcome and join us for this police escorted ride to the Pentagon to participate in Rolling Thunder's Ride for Freedom. The Ride of the Patriots is an exciting four-day event spanning the entire Memorial Day weekend. All activities for the weekend are at or begin at Patriot Harley-Davidson, located just West of Fairfax Circle on Fairfax Boulevard (Map). The Patriot Harley-Davidson parking lot is designated for bikes only from Friday morning until after the departure of the Ride on Sunday Morning. Visiting Patriot H-D on Friday, May 24th, (store open from 10 am to 7 pm) has become a tradition amongst out-of-towners looking to reunite with old friends and family. So this year at Patriot, Friday will have live music and selected vendors, such as Letterfly Pin Striping, Virginia Rigging (patch sewing), Motorcycle Riding Concepts, and H-D Jumpstart. Food vendors on site include: 29 Diner BBQ and others to be announced. Live music all day. On Friday evening at 5:30 pm, May 24th, the Chapter rides to the Candlelight Vigil at the Vietnam Veterans Memorial. All riders are welcome. 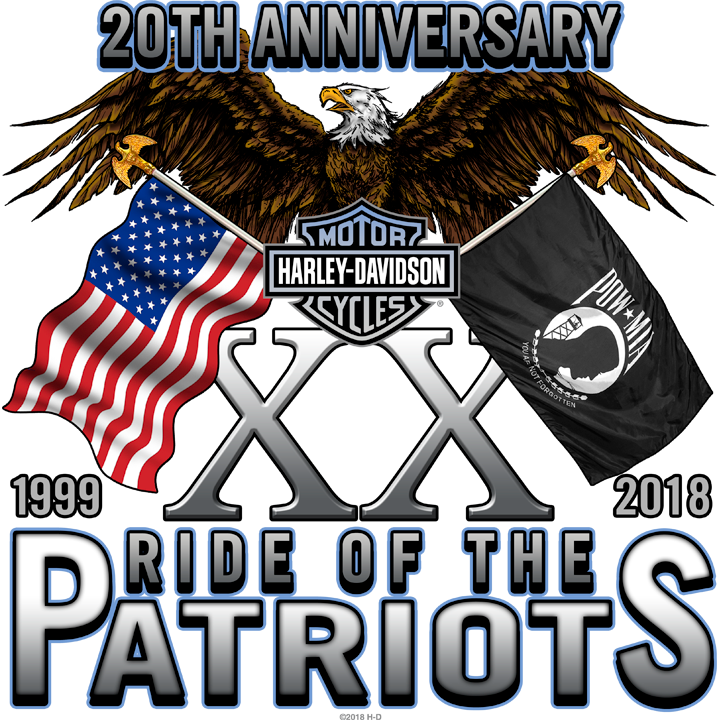 Activities continue on Saturday, May 25th, with the Patriot Harley-Davidson Open House (9:00 am - 6:00 pm) continues where you may purchase a Ride of the Patriots 2019 commemorative T-Shirt from the dealership and the Ride of the Patriots 2019 commemorative coin and pin at the Chapter H.O.G. booth (while supplies last). Visit the Patriot Harley-Davidson website for open house details. Of course the most visible event is on Sunday at Patriot H-D when we honor our heroes in a community parade, ceremonies and ride to Rolling Thunder. 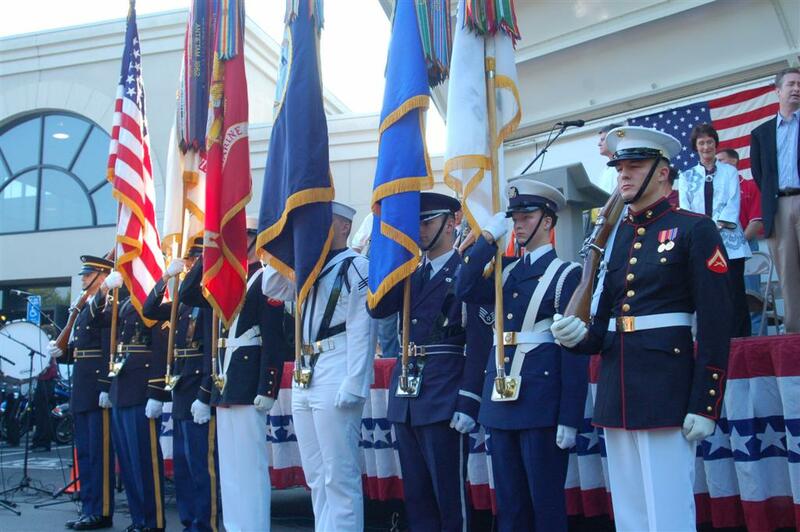 The weekend finale is a Chapter ride in the Falls Church Memorial Day Parade on Memorial Day. This year is the 21th Ride of the Patriots to Rolling Thunder. This community event grows larger every year and is now the largest police escorted motorcycle ride to Rolling Thunder. Ride of the Patriots and Rolling Thunder not only honor and remember those who fought in Vietnam, but also honors the servicemen and women in uniform who serve or have served our nation, protecting and defending our liberty and democracy. The events of September 11, 2001 made all citizens aware of how precious our liberty is and grateful for the sacrifices of those in military service who defend our freedoms. Since 9/11 we have gained a renewed awareness of the tremendous job first responders and law enforcement do to keep us safe and out of harms way. Firefighters, EMTs, Rescue Squads and Law Enforcement Officers are the unsung heroes here at home. US Military operations in Afghanistan and the vigilance of those defending Homeland Security remind us daily of the courage and sacrifice of our military. The Ride of the Patriots and Rolling Thunder especially honor those who have paid the ultimate sacrifice to protect and defend our freedoms and our nation—LEST WE FORGET. Bikers’ participation in Rolling Thunder began primarily with Vietnam War veterans as a protest having a special focus on MIAs and POWs. The group has now grown to include over 400,000 riders from across the USA who participate for many personal reasons, though primarily to honor all veterans. Spectators join in the event all along the route to the Pentagon and on the parade route thru Washington, DC to pay tribute and to honor our heroes on this solemn occasion. Each year over 4,000 motorcycles of all makes and models from the local area as well as from points across the USA and Canada join us for the Ride of the Patriots. The bikers assemble in an orderly manner eastbound along Fairfax Boulevard (Lee Highway) starting at Patriot Harley-Davidson and then with the help of Police motor squad units from Fairfax County, the City of Fairfax and Arlington County are escorted safely to the Pentagon staging area to join the 400,000 other bikers for Rolling Thunder. The Ride of the Patriots to Rolling Thunder on Sunday (see the schedule) begins with a parade down Fairfax Boulevard and an Opening Ceremony that brings the community and the bikers together to recognize the significance of this day. City leaders, State and Federal Delegates, the Fairfax High School Band, Fairfax City and County Fire and Police units, the Northern Virginia Firefighter’s Emerald Society Pipe Band, the American Legion, Honor Guards, etc. have active parts in the event on Sunday morning. Spectators from the community line Fairfax Boulevard to recognize the riders and honor this Memorial Day weekend. The Ride of the Patriots takes the message of remembrance and honor for those who gave the most for our country and our freedoms from the City of Fairfax and Fairfax County citizens to join with many others from the USA and Canada at Rolling Thunder and we are proud to do so. Please join us. You will never forget. Copyright © 2019 Ride of the Patriots. All rights reserved unless where otherwise noted.